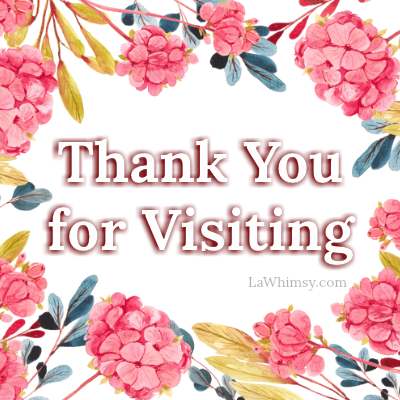 I’m not sure if anyone quite remembers all my excitement about Crush and their complete and utter awesomeness (it’s in this post, just in case you were wondering…tee-hee! ), however I have never forgotten and actually I have been a major fan since long before all that! 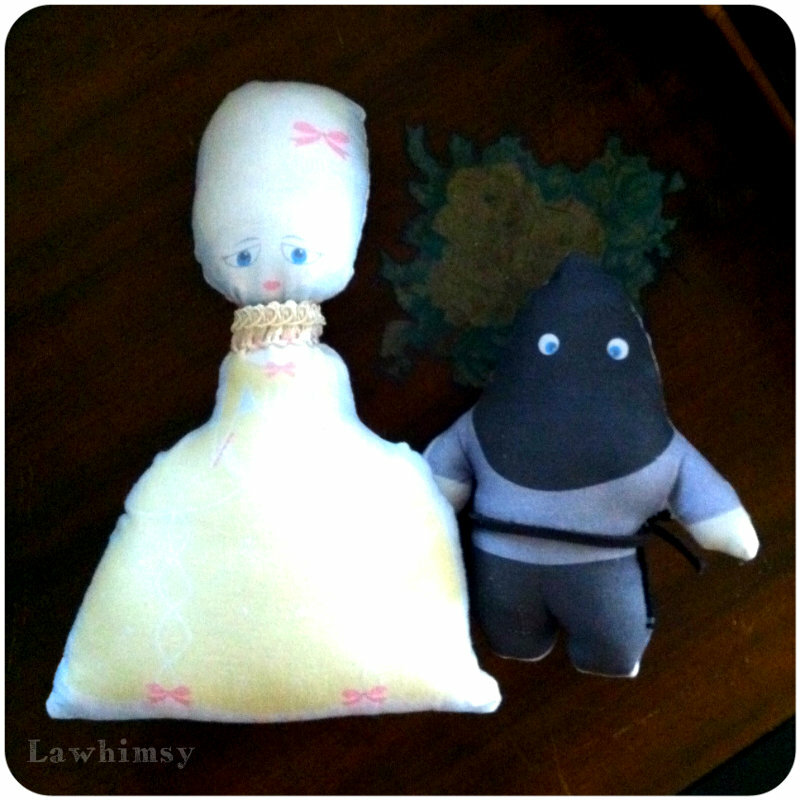 The point and purpose of this post (besides re-declaring Crush’s awesomeness) is to show off the oh, so delightful Marie Antoinette and her handsome Executioner that I was finally able to make. Sure, they were a July freebie, perfect for Bastille Day celebrations, however I think that they are perfectly suited to anytime of year (well, that and I was finally able to get a new printer and locate fabric printer paper) . 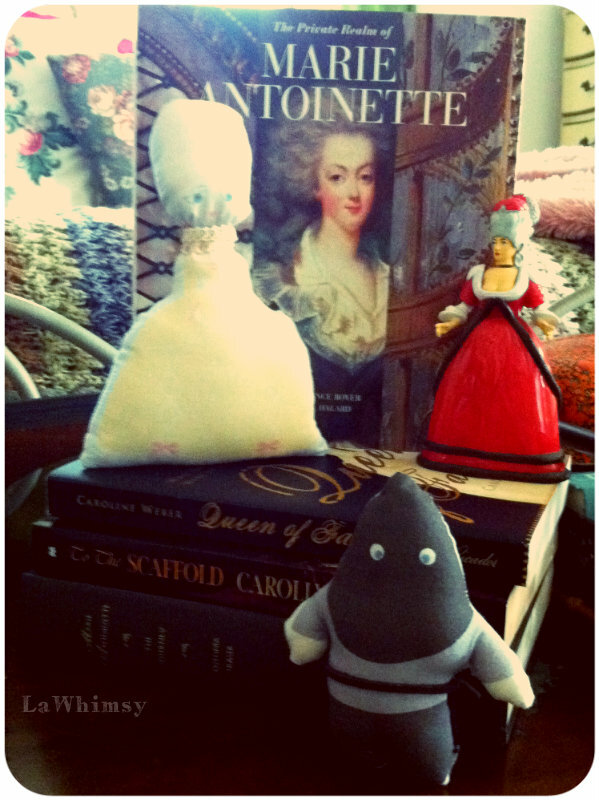 See, I’m a wee bit of a Marie Antoinette fanatic since she is one of the historical figures that I adore and who I think has received a rather bad rap over the years (and during her own time too – while she was far from a saint, I hardly think she was the root cause of the problems in France at the time…but I digress…). I am so happy to have a sweet pancake doll of her and one with a delectable head (I’m weird, and I’m perfectly okay with that). I have read numerous books, viewed several documentaries, researched her, her times and taken in all sides and viewpoints possible and I think she was an extraordinary woman who lived in a very precarious and who dealt with the life she was given in a very human way. 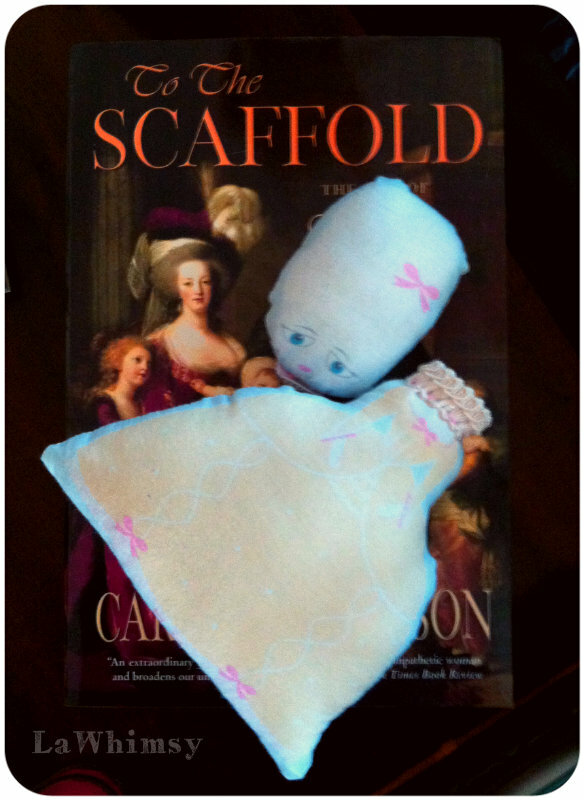 One of the best parts about making this doll was getting to use fabric printer paper for the first time – I think I am addicted! It’s a bit fragile (don’t cut too close to your stitches or seams – it’ll run and tear) and I think given a chance I might darken the colors a bit so they don’t appear too washed out (though it’s an ink eater – eep!). I also re-enforced the poor dear’s neck with some fancy trim, so that when her head is on, her neck isn’t floppy (Marie had impeccable posture and grace and I don’t want to tarnish that any!). The handsome executioner was easy-peasy, though I accidentally destroyed his axe, so I shall be making him a felt substitute (live, learn and don’t cut seams on tiny things!). 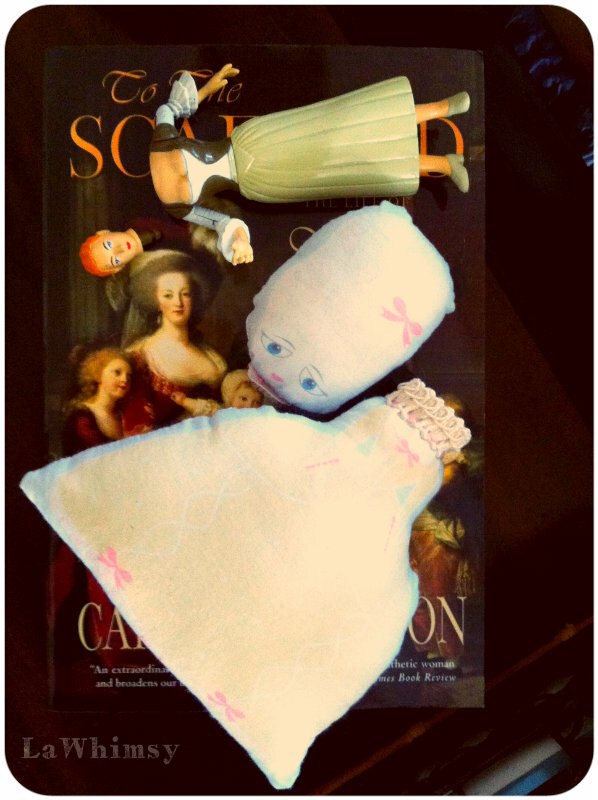 Just a small glimpse of some of my Marie Antoinette collection. Now, these cuties are no longer available from Crush, but I do highly suggest you visit their site (and sign up for their newsletter) for their monthly freebies and for all of the other great things they offer! *I am not affiliated with Crush in anyway – I just think they are terrific and wanted to share!